Ed Nowicki asks a question during a public meeting held by the Environmental Protection Agency at South Chattanooga Recreation Center on Tuesday, Feb. 13, 2018, in Chattanooga, Tenn. The EPA held the meeting to address community concerns about lead pollution in the Southside Chattanooga Lead Site, which includes the Alton Park and Jefferson Heights neighborhoods. Environmental Protection Agency officials have committed to remediating all residential properties in the Southside Chattanooga Lead Site that contain unsafe levels of lead once they receive the necessary federal funding. Agency representatives announced the decision after a public meeting at the South Chattanooga Recreation Center on Tuesday evening. The meeting was held to update the community on the site assessment and cleanup activities. "This is good. They're letting people know there could be a potential problem, and they're working to correct it," said District 7 City Councilman Erskine Oglesby Jr., who represents District 7. The news comes after hundreds of yards in the area were tested for lead over the past several years. The agency sent letters to affected property owners letting them know their yards were contaminated. However, at the time, the EPA did not commit to cleaning all of the properties. Instead, the agency agreed to remediate yards with significant lead readings — primarily those above 1,200 parts per million — where children were also living. The agency considers any reading above 360 ppm to be unsafe. "The reason people have letters that don't explicitly say 'We're going to clean up your yard' is because, at the time, we did not know if the site would qualify for the National Priorities List. Now we know that," remedial project manager Cathy Amoroso said. National Priorities List sites receive additional federal funding to help with cleanup. The Southside Chattanooga Lead Site is now eligible and has been proposed to be added to the list. "We're not going to have all the funds until we get on the National Priorities List," Amoroso said. "Then we will cleanup every yard over 360 [ppm], or whatever the threshold may be. Right now, it is 360. There's a possibility that can change, but it won't be higher, it will be lower." The agency learned in 2011 of contaminated properties on Read Avenue, Mitchell Avenue, Underwood Street (formerly Carr Street) and intersecting streets after a resident was diagnosed with lead poisoning. At that point, the state asked the EPA to help. After cleaning the properties, the agency began to look at other sites in the area where unsafe levels of lead may be present. That's when the EPA started testing for elevated lead levels in what became the Southside Chattanooga Lead Site, according to several EPA officials at the meeting. To date, more than 300 yards have been tested, and nearly 100 properties have been remediated, according to EPA officials. They have not said how many properties in total have tested positive for lead. The yards became contaminated after lead-based material was used as top soil. More than 60 foundries operated in Chattanooga, mostly during the early 1900s. Material from the foundries was then used on residential properties in the area. 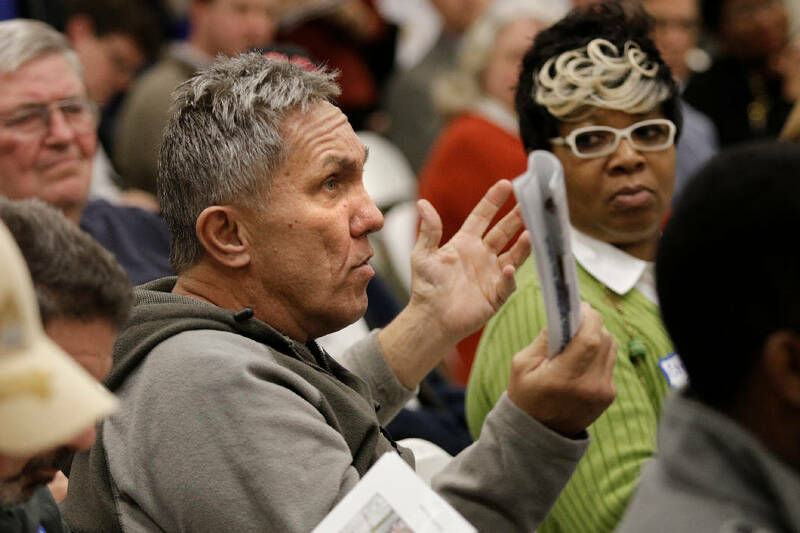 Many residents at the meeting were not pleased with how long it took to learn about the issue. "My main problem with everything I heard tonight is that it makes no sense that the EPA became aware of this just because someone became ill," said Ed Nowicki, who owns property in the area. "You had a major industrial area that has historically been an issue for the last 100 years. One would imagine that is a red flag and a possible contamination site." However, Amoroso maintains the agency worked as quickly as possible after learning about the problem. The EPA did not know of the issue until the state asked for help after the resident got lead poisoning, she said. "We didn't know ourselves," Amoroso said. "... We did not know where this material was. We are now learning." Residents at the meeting told EPA representatives they would keep pushing to ensure the problem is handled. "EPA, we will hold you all responsible to check this out and keep our children safe," longtime resident Milton Jackson said. A public comment period for whether the site should be added to the National Priorities List has been extended through April 18. Contact staff writer Mark Pace at mpace@timesfreepress.com or 423-757-6361. Follow him on Twitter @themarkpace and on Facebook @ChattanoogaOutdoors.